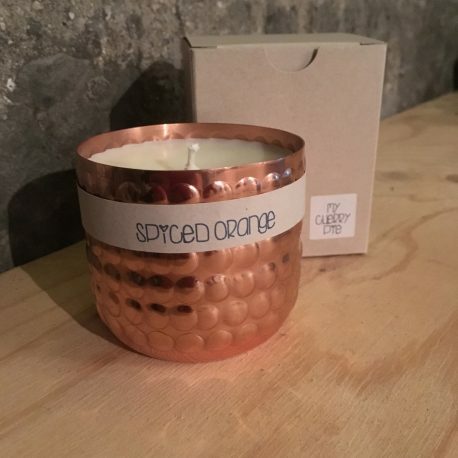 Beautiful warm candle in a little copper pot filled with an autumnal scent of spiced orange. This candle is handpoured with 100 percent natural soy wax and a cotton wick. Beautiful warm soy wax candle in a little copper pot filled with an autumnal scent of spiced orange. 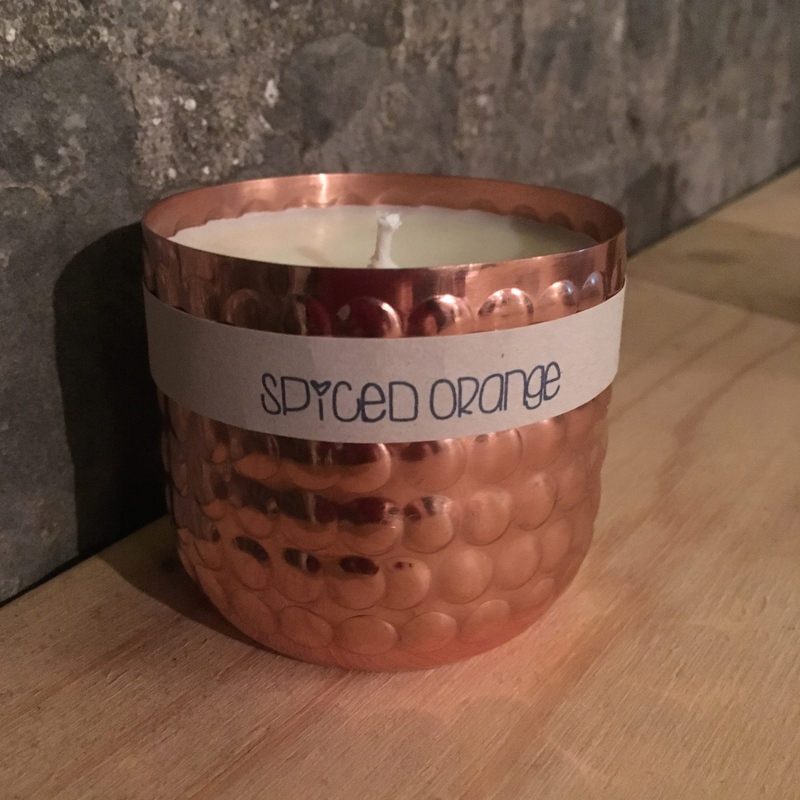 This soy wax candle is handpoured with 100 percent natural soy wax and a cotton wick. 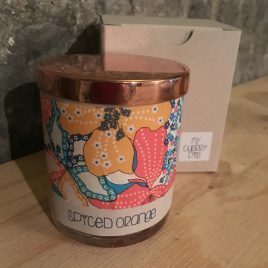 Spiced Orange Liberty Tana lawn Soy wax container candle. 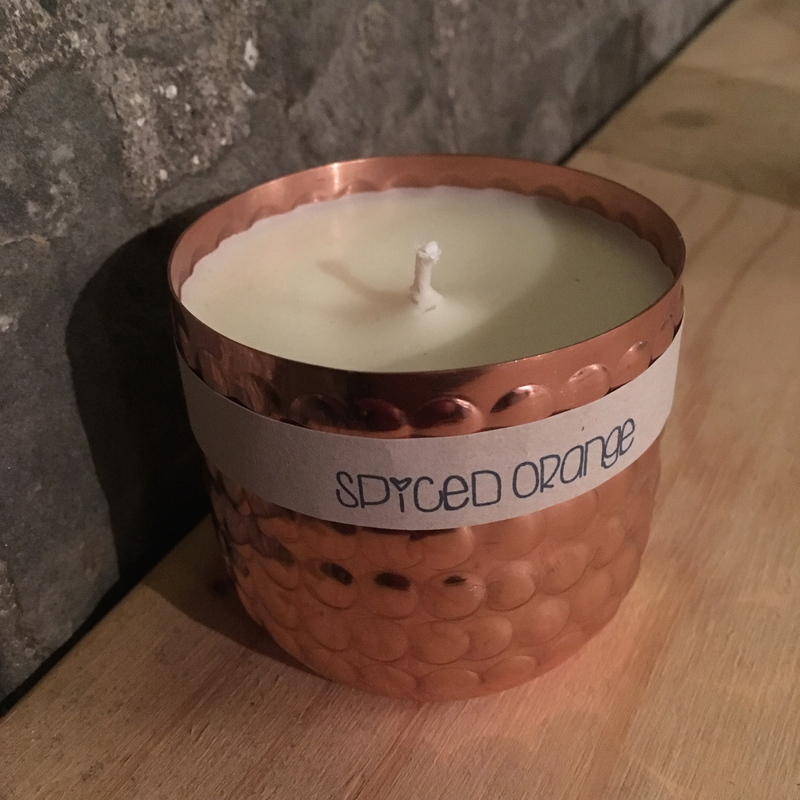 Spiced Orange Liberty Tana lawn Soy wax container candle. 20cl glass candle jar decorated with liberty tana lawn fabric and containing 100% soy wax scented with a warm autumnal spiced orange.Handpoured and finished candle with cotton wick.